Home Tags Posts tagged with "riot police"
Riot police have clashed with striking teachers during an operation to clear an occupied Mexico City square. The police used tear gas and water cannons to remove the protesters from the city’s main square, the Zocalo. Striking teachers had been camped out there for weeks. Some responded with petrol bombs as police moved in after a government deadline passed. The authorities said they wanted to clear the Zocalo for the Independence Day celebrations at the weekend. Most of the protesters left peacefully by Friday’s deadline. But some stayed on, and police backed by armored vehicles and helicopters clashed with missile-throwing protesters on the square and in nearby streets. Officers tore down the teachers’ temporary shelters and put out small fires started by the demonstrators and made a number of arrests. Some of the demonstrators were thought to be radical anti-government activists who were not necessarily associated with the teachers union. The educations reforms introduced by the government include performance-related tests for teachers. Critics accuse Mexico’s teachers’ unions of being corrupt and having too much control over job allocation. Last week, thousands of its members protested outside the Senate in an attempt to disrupt the passing of the bill, which had already been approved by the Chamber of Deputies. The government has argued that union control over teaching jobs has contributed to corruption, which has seen poorly trained teachers promoted over more qualified colleagues. Bulgarian President Rosen Plevneliev has appealed for calm after weeks-long protests escalated into a blockade of parliament and clashes with police. Rosen Plevneliev urged both protesters and police to remain “peaceful and civilized”. More than 100 politicians, journalists and staff were trapped inside the building overnight, until escorted out by police at about 05:00. PM Plamen Oresharski has so far resisted protesters’ calls to resign. The unrest fell on the 40th straight day of anti-government protests against corruption and mismanagement in the capital, Sofia. Crowds surrounded the parliament building on Tuesday evening as MPs took part in an unusual late sitting to discuss a controversial budget update that would increase the budget deficit and government borrowing limit. At around 22:00 local time, riot police attempted to move some of the MPs, including three government ministers, out of parliament on a heavily guarded bus. But protesters prevented the bus from leaving. Skirmishes broke out in which at least seven protesters and two officers were injured. The crowd reinforced their blockade with rubbish bins, street signs and paving stones. Eventually, riot police reinforcements helped clear a path and the building was evacuated by 05:00 on Wednesday morning. A reporter for the AFP news agency said the barricades were completely dismantled and the crowd dispersed. “We all live here, this is our country and we are responsible towards it. I urge for calm and order,” he said. Parliamentary speaker Mihail Mikov condemned the violence, calling for a cancellation of Wednesday’s parliamentary session. “Order must be guaranteed. Lawmakers cannot be turned into targets; their life and health cannot be put in danger,” he told state BNT TV. Bulgaria – the poorest EU member state – has been in political turmoil for months. The current coalition government took office after a snap election in May, which followed extended protests. Renewed protests began nearly six weeks ago, over the controversial appointment of a young media mogul, Delyan Peevski, as head of the national security agency. 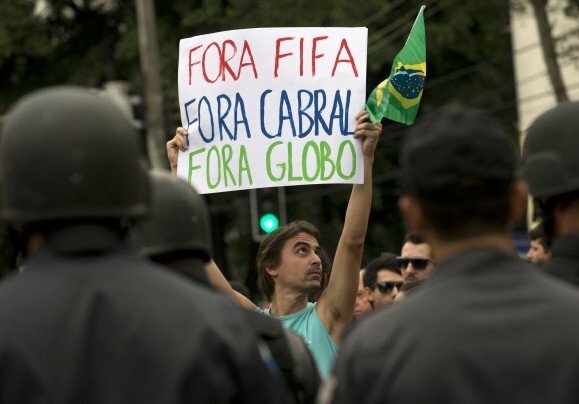 Protesters saw it as example of the influence of powerful “oligarchs” and the corruption of politicians. The appointment has been reversed, but the crowds have not been appeased and other controversial decisions have fuelled their anger. PM Plamen Oresharski, who heads the Socialist-led coalition, has refused to resign, saying it would only deepen the crisis. 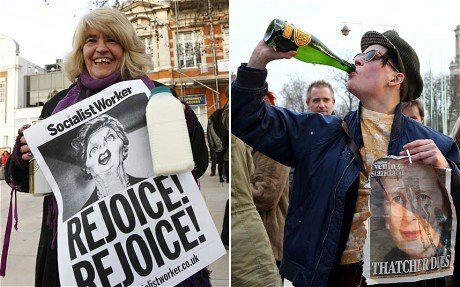 Earlier on Tuesday, the EU’s visiting Justice Commissioner Viviane Reding said she backed the protesters. “We can’t replace your government, but we have a responsibility to see that things are going well,” Viviane Reding told the forum. 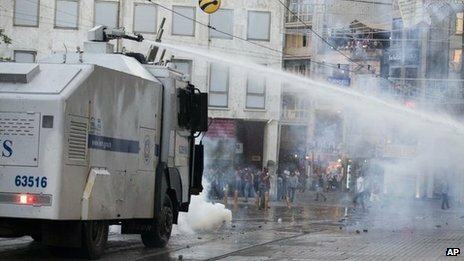 Turkish riot police have fired tear gas and water cannon at protesters trying to enter Istanbul’s Gezi Park that was the focus of last month’s anti-government protests. Gezi Park had been shut since June 15, when police ejected people occupying it in protest at redevelopment plans. 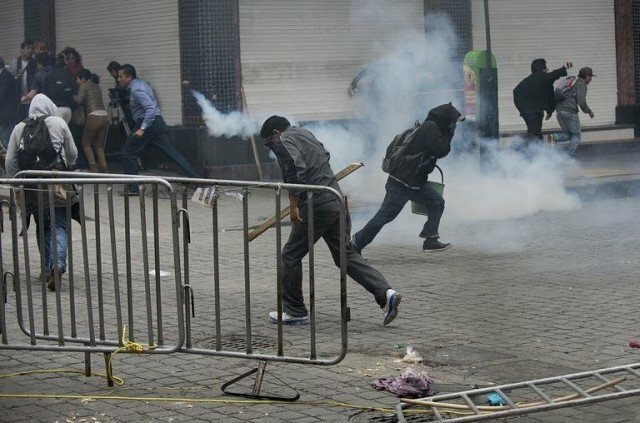 Turkish authorities’ response to the protest sparked nationwide unrest. Four people were killed and thousands more were injured as police cracked down on anti-government demonstrators, who accused PM Recep Tayyip Erdogan of becoming increasingly authoritarian. Huseyin Avni Mutlu said staff had tried to improve the park while it was sealed off, planting additional trees and shrubs and replacing damaged grass. Taksim Solidarity, a group of political parties and non-governmental organizations, subsequently called a public meeting in the park at 19:00 (16:00 GMT), prompting the authorities to close it after only three hours. A court in Brazil has sentenced 23 police officers each to 156 years in jail for involvement in notorious 1992 Carandiru prison massacre in Sao Paulo. 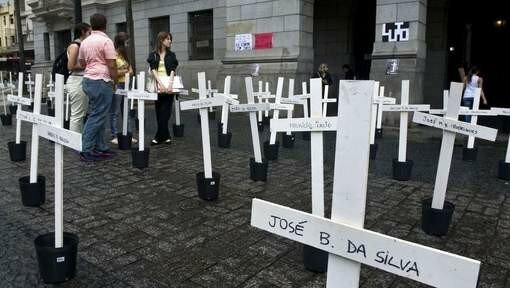 The policemen were convicted of killing 13 inmates in the city’s Carandiru jail during an operation to end a revolt. In all, 111 prisoners died, and prosecutors argued that most of them were shot dead at close range. The officers’ lawyers said they would appeal. Three other policemen were acquitted during the trial. The 23 convicted officers – most of whom are now retired – had originally been accused of killing 15 inmates, but two of the victims were later thought to have been killed by fellow prisoners. Dozens more officers are expected to be brought to trial in connection with the case in the coming months. In 2001, Colonel Ubiratan Guimaraes, who led the police operation to regain control in Carandiru, was convicted of using excessive force. But he was acquitted on appeal in 2006. The riot began on 2 October 1992 after an argument between two inmates quickly spread, with rival gangs facing off in what was at the time one of South America’s largest prisons, housing 10,000 inmates. Inmates said riot police brutally repressed the riot. “We never thought they would come in and kill people randomly, as not everyone had joined the rebellion,” said former prisoner Jacy de Oliveira. “The policemen began shooting everyone; I was on the fifth floor, if you looked a policeman in the eyes, you were dead,” he said. The officers’ lawyer, Ieda Ribeiro de Souza, argued they were only doing their duty and acted in self-defence, as many of the inmates were armed. While prison riots are not uncommon in Brazil, the number of those killed at Carandiru and the slow pace of the Brazilian justice system in bringing the accused to trial has shocked the public. Carandiru was closed in 2002, shortly after inmates co-ordinated simultaneous uprisings in 27 jails across Sao Paulo state during which thousands of visitors were held hostage. 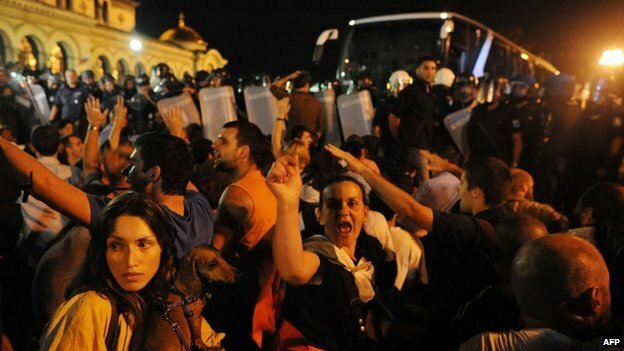 Riot police have stormed a metro train depot in Greek capital, Athens, breaking up a sit-in by striking workers. The workers had been on the ninth successive day of strike action that has crippled the underground system. The conservative-led government used an emergency law to threaten the strikers with arrest unless they went back to work. It was not clear if the move would lead to transport resuming. Strikers are opposed to proposals which might see their salaries slashed. The operation took place shortly before 04:00 local time, with around 100 riot police officers entering the depot where workers had barricaded themselves in overnight. A police spokesman said three people were arrested and subsequently released. The area around the depot has now been cordoned off to prevent others from joining the strike. Bus drivers and railway workers were to join the strike on Friday. Transport unions say they will continue their action, raising the possibility that some could face arrest and criminal charges, with a prison sentence of up to five years. The government is using civil mobilization legislation, which has only been invoked nine times since the collapse of Greece’s military dictatorship in 1974. Workers on the underground had been striking over a public sector unified wage scheme that would see their salaries reduced by up to 25%. Public opinion is split over the issue, but with commuters facing long taxi queues as temperatures fall, the government feels that it may just get the support it needs to hold firm. loans from its EU partners and the IMF since May 2010. So far, the European Central Bank, International Monetary Fund, and the European Commission have pledged a total of 240 billion euros ($315 billion) in rescue loans, of which Greece has received more than two thirds. The Greek government required the bailouts because it was struggling to meet the interest payments on its existing debts. Under the terms of the rescue funds, Greece is having to agree to substantial spending cuts, such as redundancies and pay freezes in the public sector, and reduced pensions. This is having a major knock-on impact on the wider Greek economy, with the unemployment rate hitting 26.8% earlier this month, the highest figure recorded in the EU. Ukrainian Police in capital Kiev have fired tear gas to disperse hundreds of protesters angry over a new language law that boosts the status of Russian. 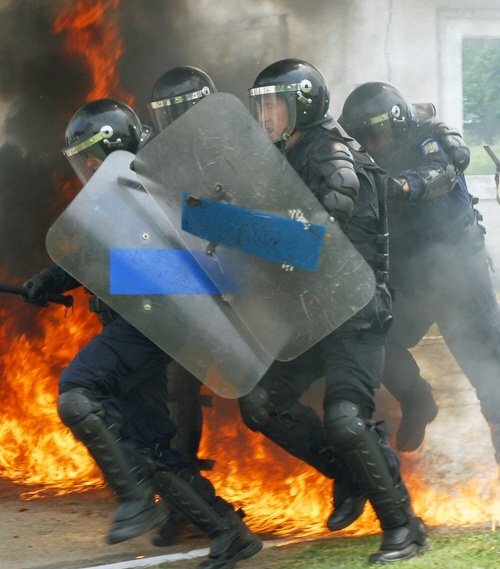 The clashes erupted outside a building where President Viktor Yanukovych was scheduled to give a speech. The new law, drafted by Viktor Yanukovych’s Party of the Regions, was adopted by parliament on Tuesday without a debate on numerous amendments. World-famous boxer Vitali Klitschko was among the activists hurt in the unrest. The interior ministry said 10 anti-riot police from the elite Berkut unit were admitted to hospital with injuries. 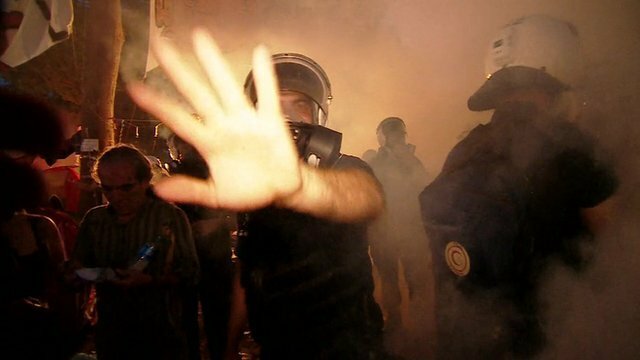 The ministry said protesters assaulted police with bottles and aerosol sprays. The police were equipped with helmets, shields and batons. 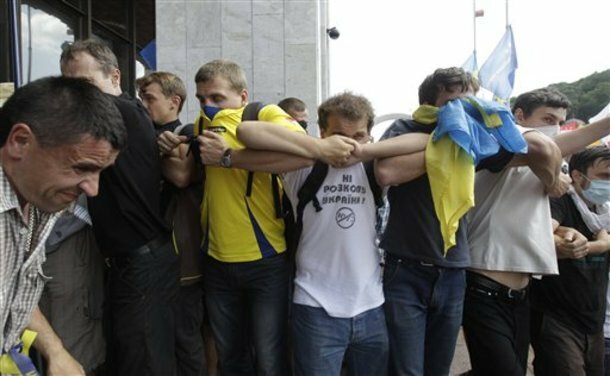 Viktor Yanukovych decided to postpone his speech on Wednesday as clashes continued. He invited parliament leaders and heads of parliamentary factions to meet him to discuss the resignations. Later he said he would have to call an early election if MPs failed to “stabilize parliament’s work”. A parliamentary election is officially scheduled for October. 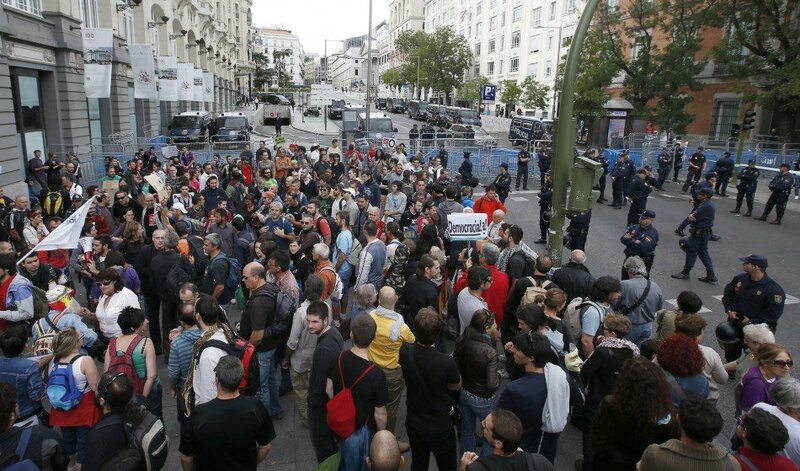 Correspondents say about 1,000 opposition activists took part in the demonstration. WBC heavyweight champion Vitali Klitschko called Tuesday’s vote “political suicide” and urged opposition MPs to boycott parliament. He heads an opposition group called Udar (Blow). The controversial vote prompted a request from Speaker Volodymyr Lytvyn to step down. “I have been fooled, Ukraine has been fooled,” he complained. Volodymyr Lytvyn’s deputy Mykola Tomenko also tendered his resignation. Meanwhile, seven MPs angry at the vote have gone on hunger strike. The bill will become law once signed off by President Viktor Yanukovych, who is seen by his critics as being close to Moscow. The bedrock of his support is in Russian-speaking eastern Ukraine. The second reading vote took place despite scuffles in the chamber between the ruling party and opposition MPs. The bill grants Russian, mother tongue of most people in east and south Ukraine, “regional language” status. Critics fear it will dilute Ukraine’s sovereignty and help return Ukraine to Moscow’s sphere of influence. While Ukrainian would remain the country’s official language, Russian could be used in courts, hospitals, schools and other institutions in Russian-speaking regions. In practice Russian is already used widely in official establishments in Ukraine. The new law says local officials can use a “regional language” if at least 10% of the local population are native speakers of that language. Those officials would have to know the regional language and be able to use it in their official duties. People will be allowed to choose which language they want their documents issued in – Ukrainian or regional. The new law de facto grants Russian the status of an official language – but not the state one – in most of Ukraine. Two people have been shot dead by police and more than 400 injured in protests across Egypt sparked by the deaths of 74 people after a football match. 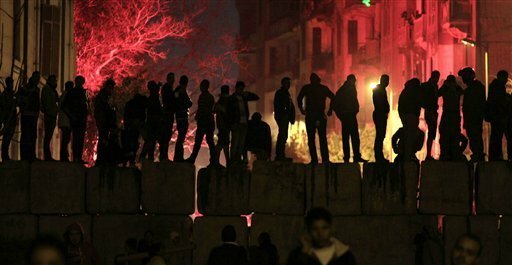 Throughout Thursday, al-Ahly supporters gathered outside the club’s stadium in Cairo. A series of protest marches moved towards Tahrir Square, and then on to the ministry of interior. Some chanted slogans against Egypt’s military rulers, while others threw stones. “Our army must choose between the military council and the revolutionaries,” they chanted. A section of Al-Ahly supporters known as the “ultras” played a prominent role in last year’s street protests which led to the overthrow of President Hosni Mubarak. The ultras believe they were targeted for their support for the revolution over the past year. “It’s like war, you can’t believe it. What happened yesterday [Wednesday] was war, it’s not football. To kill without any feeling… is not normal,” said former al-Ahly player Hani Seddik. Earlier on Thursday, parliament met in emergency session, beginning with a minute’s silence. Prime Minister Kamal al-Ganzouri told MPs the head of Egypt’s football association had been sacked and the board dissolved, with its members referred to prosecutors for questioning. Port Said’s director of security and the head of investigations were suspended and are now in custody, Kamal al-Ganzouri said. “I hope that the world understands the position of al-Ahly club, that we are going through a very difficult time as a result of all of those martyrs that we lost yesterday,” he told a news conference. Police in Egypt have been keeping a much lower profile since last year’s popular protests. The Muslim Brotherhood – which has emerged as Egypt’s biggest party in recent elections – blamed ex-President Mubarak’s supporters for the violence.